With KT Miniatures' 18th year of trading coming to an end, and a 19th year of trading looming....it is time once again to evaluate and reflect on how this year has been and more importantly, plan for next year. Am delighted to say that business has been brilliant this past year, even completely bonkers at times but I have loved every single minute. 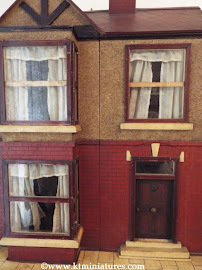 I hope that KT Miniatures or even just this KT Miniatures Journal has brought a little bit of enjoyment into your tiny dolls house and miniature world too! 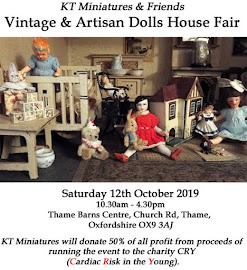 KT Miniatures will be exhibiting at this Oxfordshire annual event, as always. 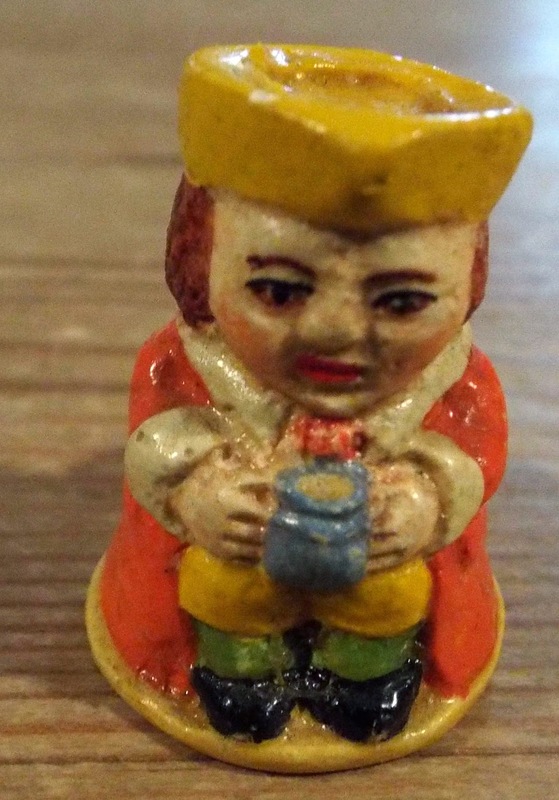 Many thanks to everyone who took the time to send messages with regards to Mr KT Miniatures - the latest is that although he is still rather poorly he is back home from hospital once more and being well looked after. It is unusual for me to close so early before Xmas but due to the ever changing ongoing events here just at the moment with Mr KT, he has to be my priority. Any orders that come in whilst I am closed will be dealt with at the beginning of January. 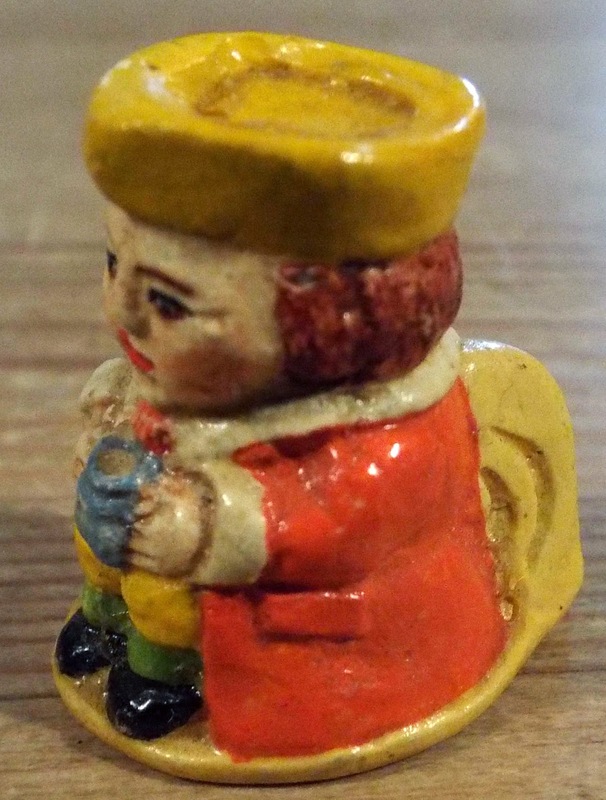 A VERY MERRY CHRISTMAS FROM KT MINIATURES! Hmmm...for most of last night, both KT Miniatures and our Nostalgia In Miniature Workshops websites were completely offline. I can only apologise to those of you who may have found this frustrating but this was completely out of my control. As I was quietly panicking last night, I finally discovered that apparently my website host 1&1 were under a massive DDos attack yesterday so in the end, they shut their whole system down- resulting in 1000's of websites everywhere going offline last night - so I was in good company!!! All I could do was sit and wait but this morning, fingers and everything crossed - all seems to be back up as normal. Modern technology eh....is great as long as it works! 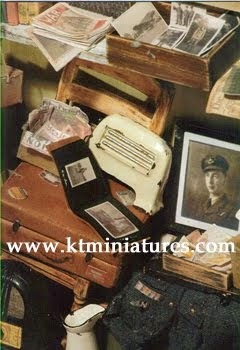 KT Miniatures Closing For Xmas In Just 4 Days...So Please Place Your Xmas Order Now To Avoid Disappointment! First up.......many thanks to absolutely everyone for your lovely messages both private and on here with regards to Mr KT Miniatures. You are all such a lovely supportive lot and have cheered me up no end! 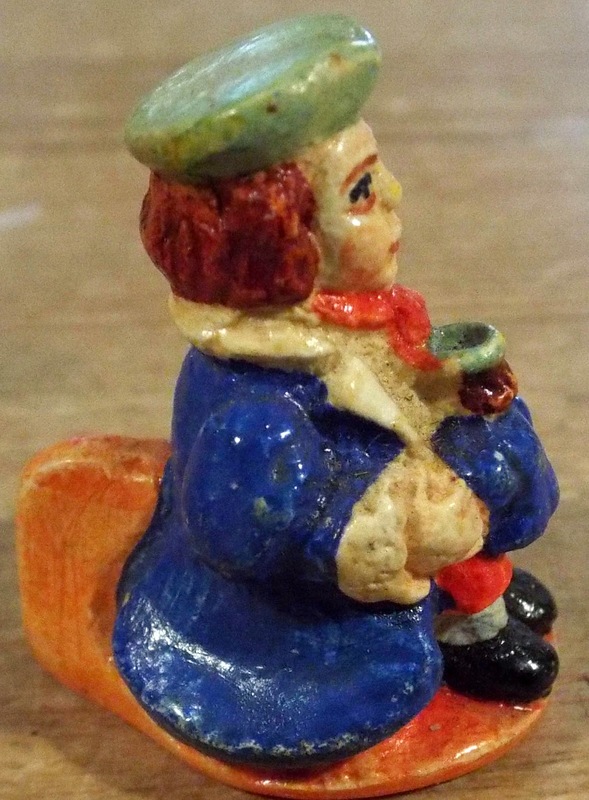 The latest news is that he has been in and out of hospital again since my last posting on here and is now proper poorly but I managed to put some rather lovely miniatures up on the website last week.....and although most were snapped up almost immediately, I will still highlight them on here for you, as I thought you may enjoy seeing the photos. 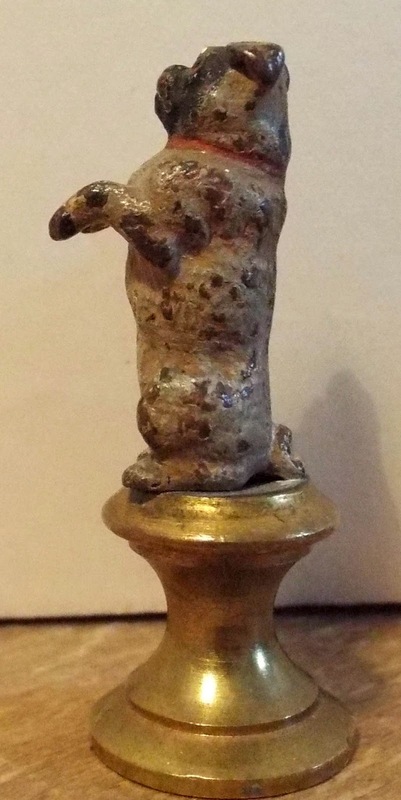 However, at the moment of writing this, the lovely little miniature pug dog seen above is still looking for a new owner.....he is believed to be a c1910 cold painted bronze Viennese pug dog on a brass stand. I have never seen or handled anything quite like this before so have had to do a bit of research. 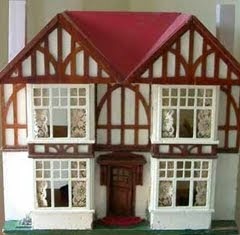 It did come along with some very old turn of the century antique dolls house items many months ago now and it would look fantastic in an antique dolls house....maybe in a grand hallway, corner of a drawing room or even standing outside a front door? 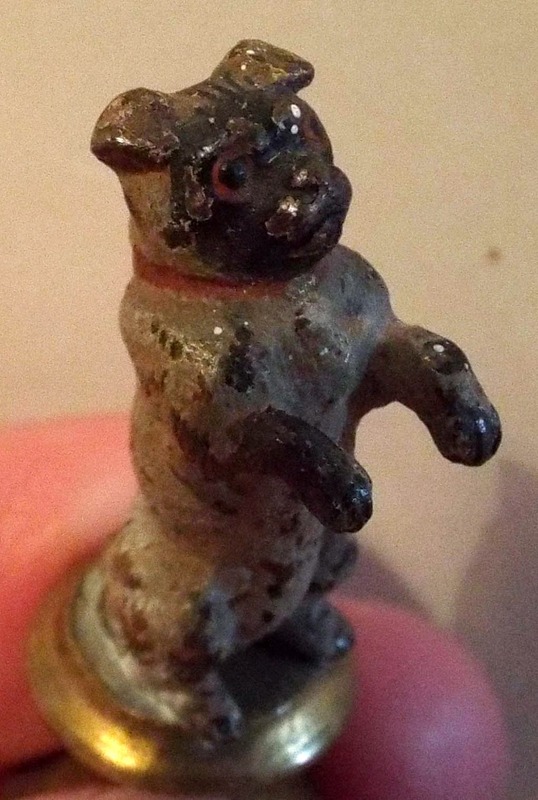 Ot it may make an unusual Xmas present for a miniature dog lover? 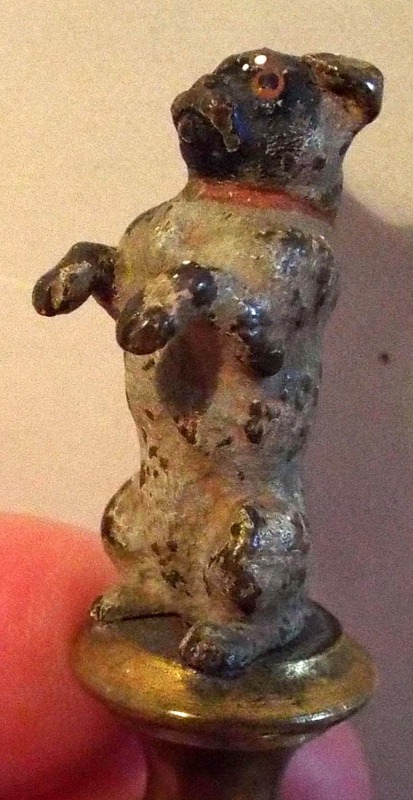 From the base of the stand to the top of his ears, it measures 1 3/4" high...so quite small. 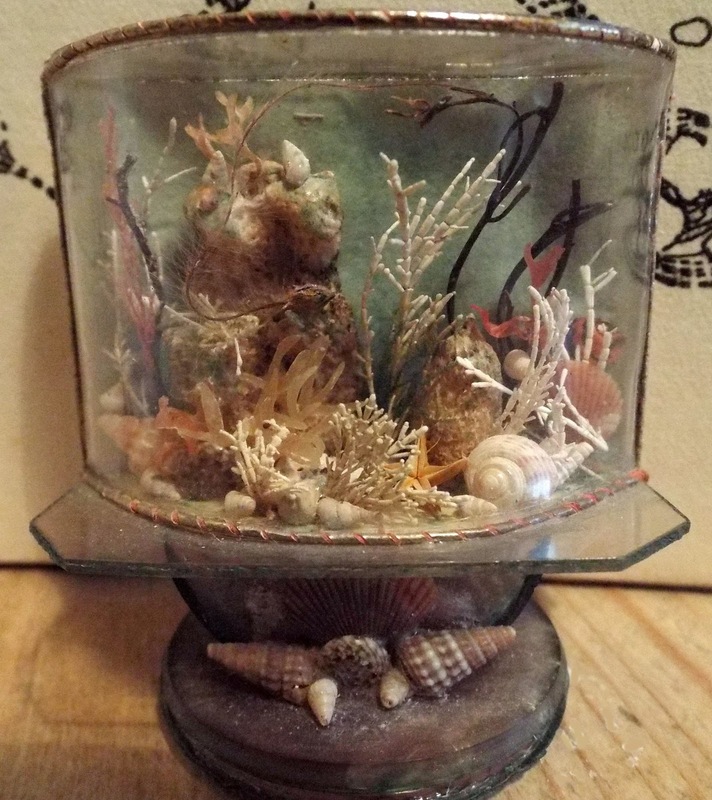 A circa 1920s/30s dolls house aquarium.......the celluloid stand has a real Art Deco style to it. 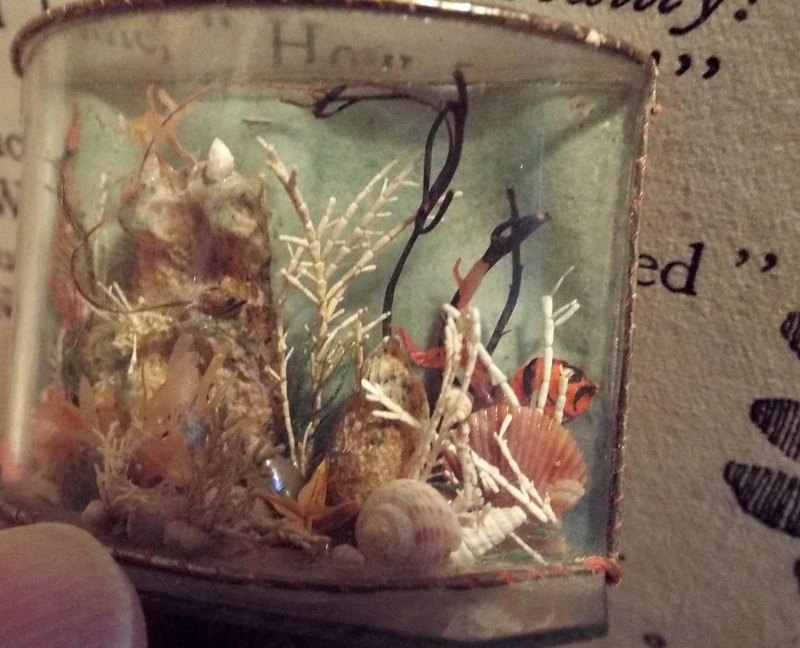 If you look carefully you may just spot the tiny red fish in the far right hand side, peeping out from behind! The stand is embellished with tiny shells-very pretty. 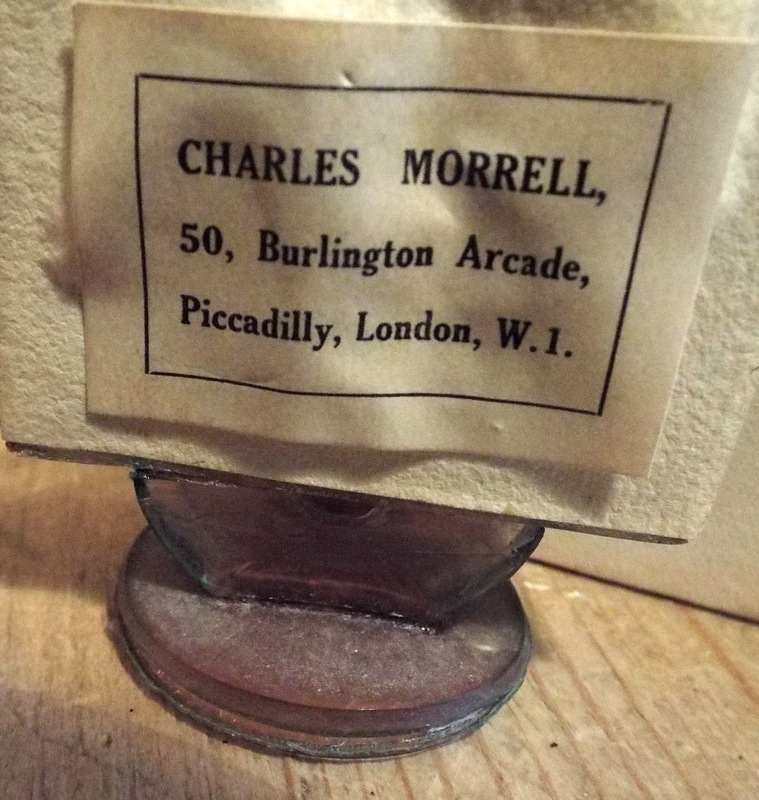 As you can see from the photo above, this has a label on the back from the famous Charles Morrell toy shop of the Burlington Arcade....so this is quite something and rare indeed! 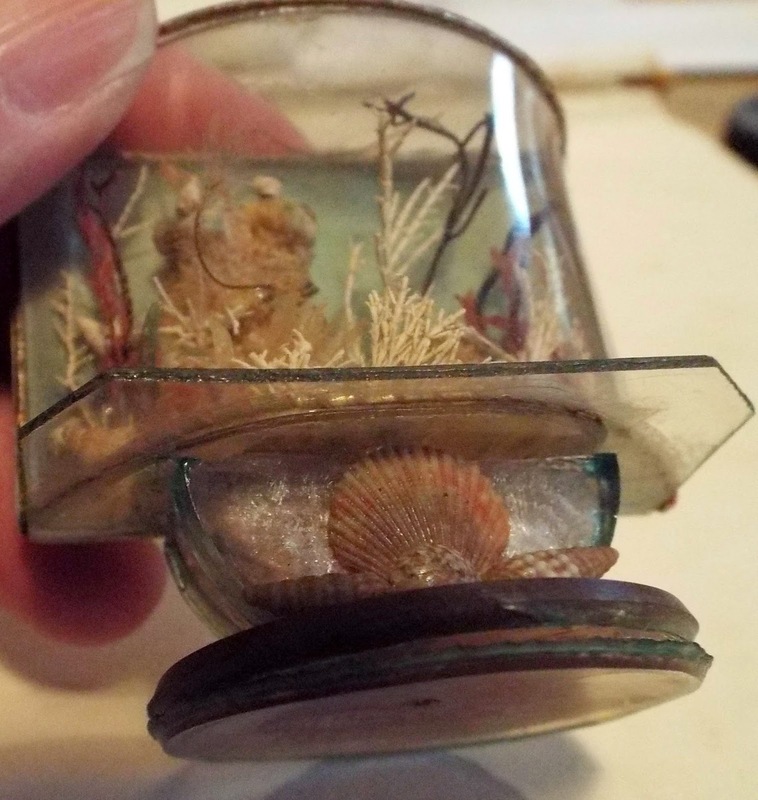 I have not been able to find out who the maker was but this is extremely well made from a high quality artisan.Truly stunning - I think you will agree! 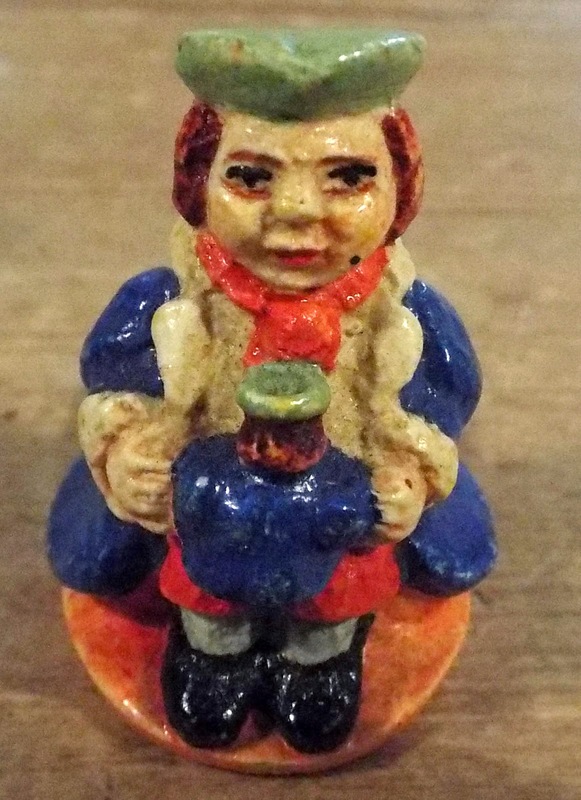 Then there were these two little plaster Toby jugs made by Kaybot/Kays - now becoming more difficult to get hold of in good condition. 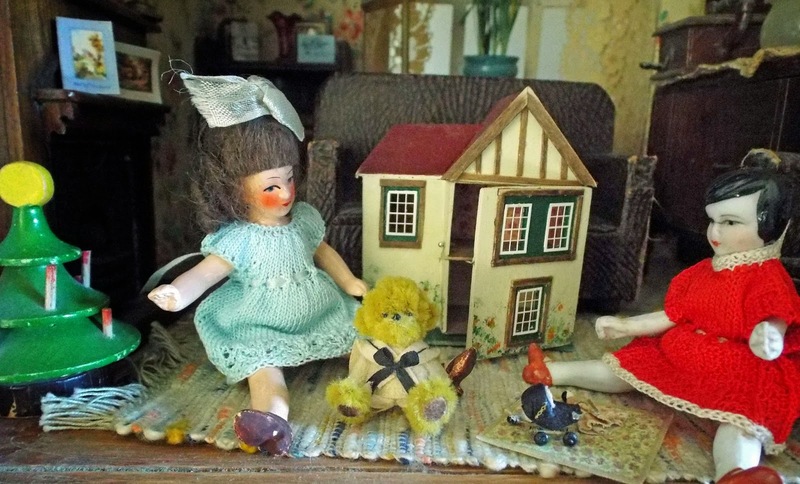 Because they were made of plaster, in young hands plaster dolls house items were prone to breakages....but these two little beauties were in immaculate condition. Unsurprisingly, both of these were snapped up immediately they went up for sale but I hope you enjoy looking at the pictures. Therefore....please tell Santa to put your Xmas order in before Saturday now to avoid disappointment. PS. 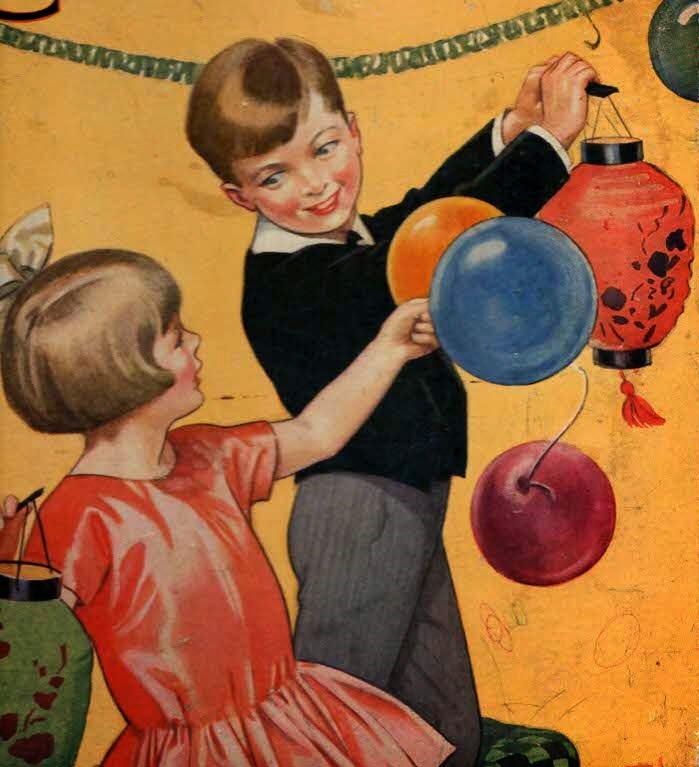 At the time of writing this posting...I do have plenty of Marion Osborne books in stock if anyone was still thinking of placing an order for any of these. Labels: Art Deco Miniature Dolls House Aquarium, Charles Morrell Of Burlington Arcade, Cold Paintetd Bronze Viennese Miniature Pug On Stand, Kaybot Kays Toby Jugs.